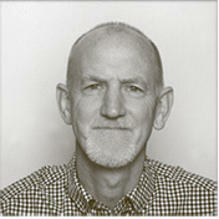 Michael is a psychotherapist, trainer, supervisor and organisational consultant. He has a background in social work and youth work including therapeutic work with families and children. He also has extensive experience of training design and delivery, predominantly in the public and voluntary sector. His MA is in organisational consultancy from the Tavistock Clinic and he works with teams and organisations in the health service as well as the private sector and with voluntary agencies. He has been qualified as a psychotherapist for over twenty six years, training counsellors and psychotherapists for over twenty years and offering supervision during this period of time. He is the Managing Director of the Gestalt Centre London where he also works as a trainer and specializes in group facilitation training. RT @BibiBaskin: How quiet is ur mind? There are techniques that can #stillthemind.